Every so often the wick on your kerosene heater will need to be replaced. This can feel like a complicated process, but with this handy guide, you’ll have it changed in no time. The wick on your kerosene heater is integral to how well your heater works. Usually made from cotton, fiberglass or a mix of the two, your wick draws the kerosene from your tank. When lit, the flame on your wick turns the kerosene into gas. When this gas is burnt, heat is given off, which will warm a room. These heaters are particularly popular during power cuts. How long does a wick last in a kerosene heater? Well, this can be a tricky question to answer. It depends on a number of factors, including the type of heater that you have and how often you use your heater. To be safe, you should check the wick on your heater around once a month when it’s in heavy use. As well as checking yourself, your heater can show signs of needing a wick replacement. If your heater seems to be struggling to give out heat, you can smell kerosene or you have difficulty adjusting the height of your wick, then it’s time to consider changing your wick. Replacement wicks are readily available online or from your local hardware shop. Be careful though, different heaters will take different types and sizes of wick. So, to ensure you’re buying the right wick for your heater, check your user’s manual. If you can’t see the wick listed there, search the name of your heater online, this should advise you to which wick you should buy. You can also take your brand and heater name to a local shop, the advisors there will be able to show you a suitable wick. 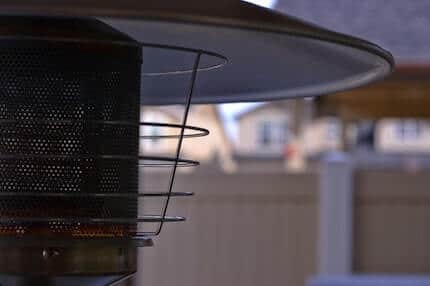 Even with the correct wick, the problem is, many of us are unsure how to change a wick in a kerosene heater, and can be put off by the idea. Changing kerosene heater wicks doesn’t need to be complicated though, just follow these simple steps. Once outside, just let your heater burn away. This process is also useful for cleaning kerosene heater wicks, so even if you’re not looking to replace a wick, you should perform this process every so often to remove deposits from the wick. When your wick is dry, the heater needs to be cooled down completely before you work with it. In the market for a new kerosene heater? Don’t miss our buyer’s guide on the best in the business! When your tank is completely cooled, it’s then safe to remove the fuel tank. You should also remover the wick adjuster and your batteries at this stage. This process is simple, as they will pull straight out. From there, look for the grill at the front of your heater and open it up. This is where the catalytic converter is positioned, and this will need to be removed too. When removing the converter, be very cautious. There is a chimney attached to it that is made of glass. This can be very easy to snap or break, which you don’t want to do, or it will need to be replaced. Take off the screws that hold the base of the heater in place. The cabinet can then be lifted off. There is a windshield here, take this off and put it to one side. You now need to remove the wick assembly by unscrewing the nuts holding it in place. The assembly can then be lifted straight off. You’ll now be able to remove the old wick, but before you do, draw a mark where to show where the old wick was positioned. This will make your job simpler later. Firstly, compare your new wick to the mark you made on the holder. Ideally, this mark will match with your new wick, however, if it doesn’t it’s not the end of the world. In this case, just add a mark or line to your new wick that matches the mark of your old wick. This will allow you to insert the wick to the correct level in the holder. To attach the new wick, fold it in half, you can then insert the wick into the container matching the depth to the mark you made. Once you’re satisfied with the depth, release the wick so that it returns to shape. This will cause the wick to attach itself to the teeth that hold it in place within the holder. This holder can then be reattached to your heater. Now that your new wick has been attached, you can start reassembling your heater. You’ll want to start with the wick adjuster knob, as you’ll need to make sure your wick is moving correctly. Test by moving the wick completely up and down. When you’re satisfied, you can add and tighten the nuts for the wick assembly unit. Then it’s just a case of reattaching everything you removed from the steps above – in the reverse order, of course! Once complete, your heater will be ready to use again and should be far more efficient than it was before. Now as a master of how to put a wick in a kerosene heater, you’ll never need to stress about replacing one again. If you don’t feel fully confident, ask a friend or family member over to give you a hand. Or, if you feel it’s beyond your capabilities, there’s no shame in getting a professional in to do the job for you! The next step is lighting the heater safely. Check out our guide to see how to do this properly. Follow us on Facebook to see more articles like this on a daily basis!